I find rugged coastlines a magnetic attraction, despite the vicious currents, which often swirl at the base of their cliffs. 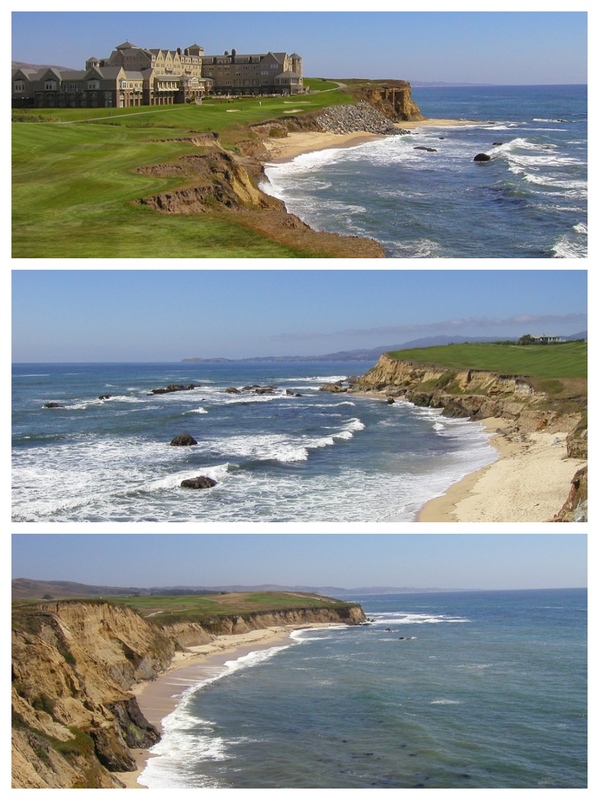 None more so than a picture-perfect location about an hour south of San Francisco - the romantically-named Half Moon Bay. 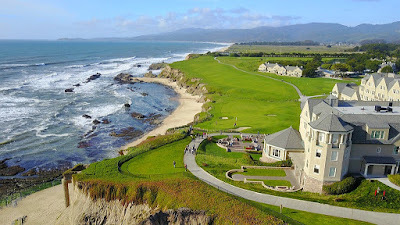 Leafing through a lifestyle magazine recently I came across this aerial view of the Ritz-Carlton Hotel at Half Moon Bay. It immediately evoked memories of the many events I was privileged to host in this unique location. 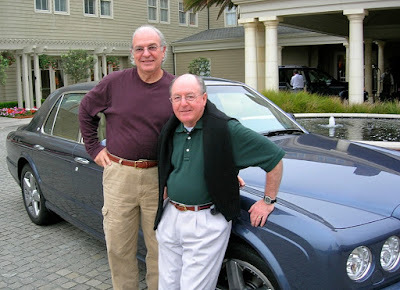 In August 2003 a small, select group of influential American journalists attended a preview of the Bentley Continental GT coupe, complete with swirling mist and chilly temperatures – yes, even in the Californian summer. Eventually, the small fire pit became very popular during the pre-dinner drinks. 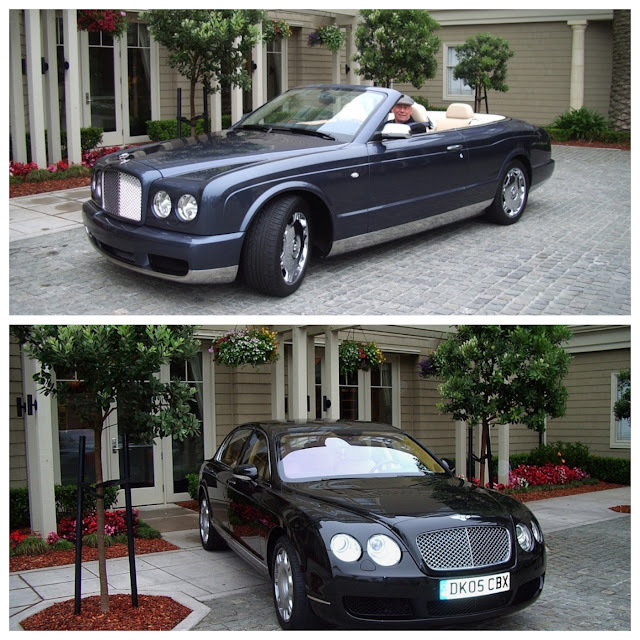 Then in 2004 we previewed the Bentley Azure convertible to a group of specialist automotive writers. 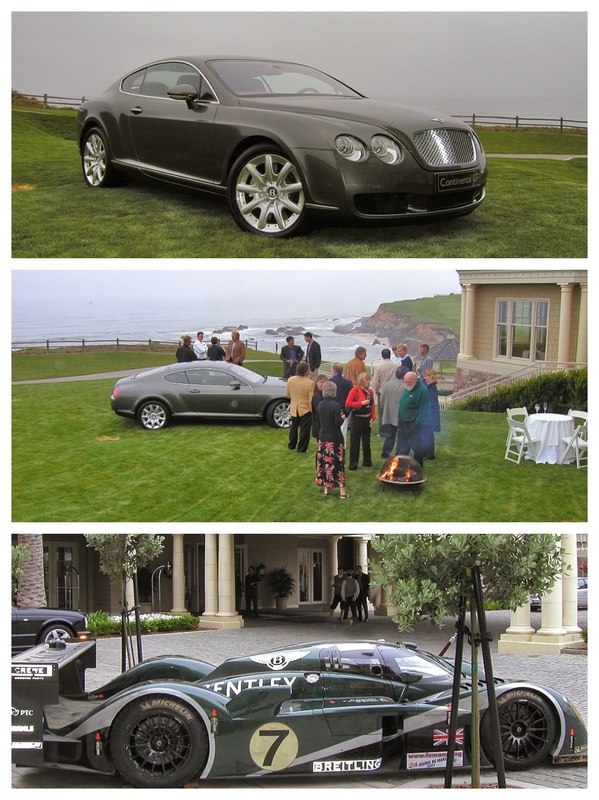 A year later the clapboarded hotel at Half Moon Bay was also the scene of a party to show off the Bentley Continental Flying Spur sedan. The Ritz-Carlton Hotel (top) and the view of the coastline to the north (centre), and the southern view (bottom) - a very evocative location, even in a storm. 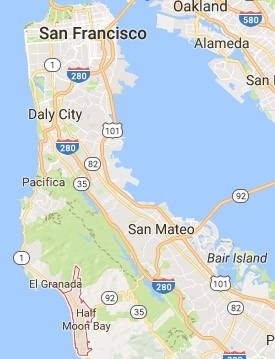 It is of course, a luxurious five-star hotel situated on a magnificent promontory on a very rugged section of America’s west coast blasted by gales and, equally, wafted by breezes from the Gulf Stream. 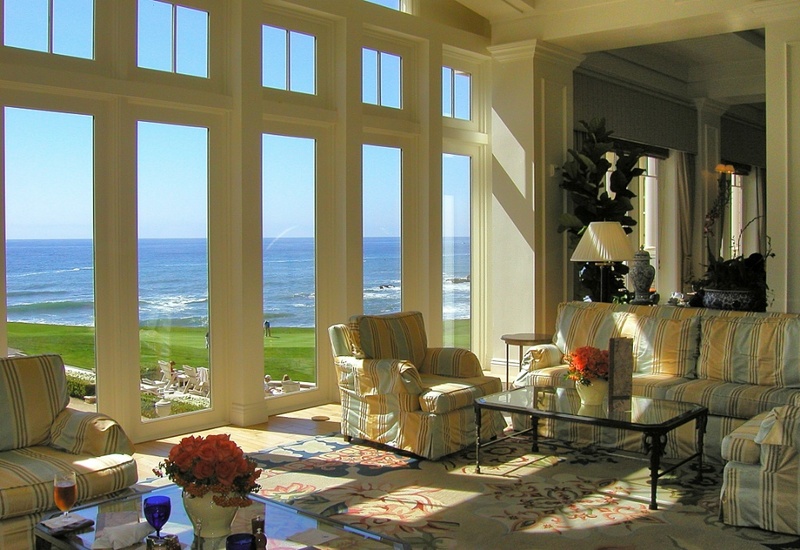 The Ritz-Carlton boasts a magnificent, although windswept, golf course, but is also a place where you can park yourself in the lounge with a magazine, book or newspaper and pass the time time soaking up a pleasant ambience. 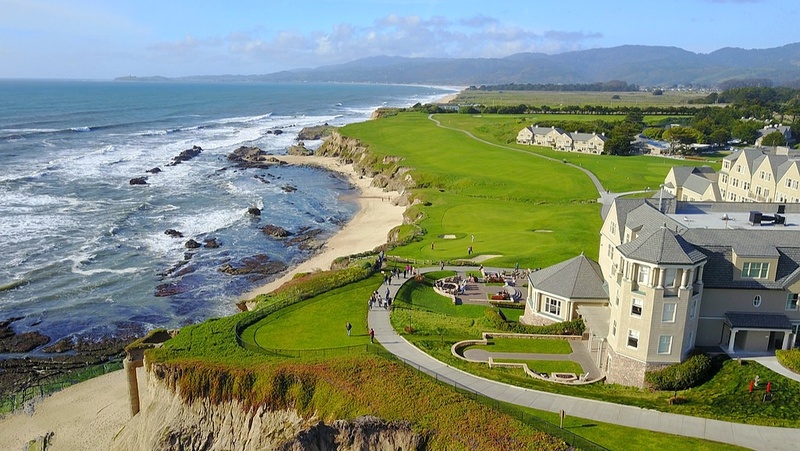 Such is the appeal and status of the Bentley brand, it’s important to identify complimentary locations to showcase the cars, and the Ritz-Carlton at Half Moon Bay is a very pleasant place to create just the right atmosphere to introduce a new Bentley. IS VOLVO A CONFUSED CAR COMPANY??? HOLDEN'S FUTURE? DETROIT CLOSES IN, TO CLOSE UP? COLUMBUS - CRAZY OR COURAGEOUS?